The “.com” domain authority needs no mention. For most of the folks, it is the supreme domain authority that they visit on the web. Well, the fact is no different. For all those who lack the technical know-how on “.com” domain here is a quick preview. The portion of the website ending with “.com” is referred to as top-level domain or TLD followed by other well known ending including .net, .gov and many others. Google has been dominating the web space for quite some time now, but the technology giant is all set to offer a whole new opportunity especially to app developers to let them develop and register their websites ending with .app now. Google is advertising its very new .app initiative as a more secure home for the apps on the web. It is a general notion for users all across the globe to interact with the apps through their smartphones. And, it is pretty obvious to browse through these apps from our handheld devices owing to the fact that it is a lot easier and convenient this way. 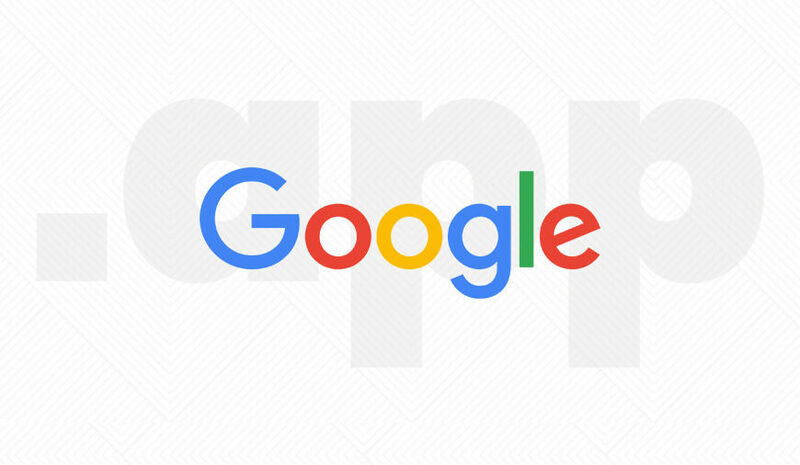 It can either be just a perspective or a way to market the .app domain, Google is mentioning the domain as a more secure platform to run the apps on. Additionally, the giant has been found quoting “Even if you spend your days working in the world of mobile apps, you can still benefit from a home on the web.” More to this, Google says that .app domain is not only more reliable but also a lot useful when it comes to providing information about software, the latest updates, and safe download link. That seems quite an offering and a game-changing move from Google itself. Getting into the technicalities of .app domain websites, they need additional HTTPS support, the secured version of HTTP that results in enhancing protection from malware and unsecured wi-fi networks. While most of the websites are already encrypted with HTTPS, so technically it's not new. Meanwhile, Google’s encryption is a way forward to remaining websites that don’t have the required security. Moreover, successful implementation of the .app domain would mean HTTPS-enabled websites going ahead securing all the content on the website. Registration to the .app domain has now been made available through Google’s Early Access Program that will welcome the participation of anyone looking for website registration under the domain by 7th of May onwards. After the listed date, the .app domain would remain available for users on popular sites like Godaddy, Google Domains, or name.com. Till then, have a closer look at the .app websites here.